Expacare is a British health insurance provider established in 1982. As one of the Jardine Lloyd Thompson Group companies Expacare has vast experience in providing comprehensive medical insurance policies to expatriates for over two decades. With its flexible and customer oriented approach to services the company has established itself as a reliable insurance policy provider operating a 24 hour all year round support network. People working for Expacare fully well understand what it feels like being an expatriate in a new and unfamiliar environment and on a company level are able to provide needed attention and help. With Expacare as your Russia Health Insurance provider you can feel safe in the knowledge that you have the coverage you need. 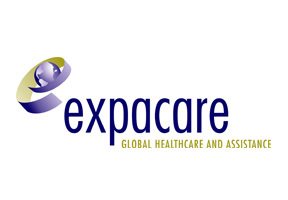 If you would like to get more information about Expacare please fill in the query form at the top of this page. Alternatively you may contact us in order to seek expert advice directly from our knowledgeable Russia Health Insurance consultants.